A presentation of all outstanding Men's prizes will be held next Sunday October 28th at 4 pm. 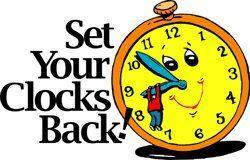 Remember the clocks go back on Saturday night. The prizes to be presented are Swanick Family Practice, Arctec Construction, David Gough, Ulster Bank, Paddy Lavelle Memorial, Cuffe's Centra,Kennedy Motors,Tommy McHugh and Club Competitions on Sept 9th and 16th. On Saturday next the 27th and Sunday 28th there are single Open Competitions for the Men kindly sponsored by Kevin Kennedy Motors and Tommy McHugh Accountant respectively and the Ladies have an Open Competition on the Saturday kindly sponsored by the Ulster Bank. 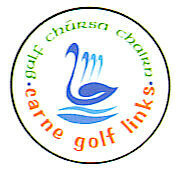 The original fixture was scheduled for September 23rd but was cancelled due to the death of Tom Molloy of Mulranny Golf Club and this new date is to facilitate Achill Golf Club who were playing the two legs of the Connacht Shield final on Sat 6th and Sat 13th October. To round off the Bank Holiday weekend there is an 18 Hole Strokeplayer of the Year competition on Monday 29th kindly sponsored by PJ McHale, proper job! !